Cetrotide (cetrorelix) is a gonadotropin-releasing hormone with antagonistic (blocking) activity. Cetrotide is used to prevent premature ovulation/LH (luteinizing hormone) surge in women undergoing controlled ovarian stimulation. The Cetrotide 0.25mg is a daily dose given for a number of days to be determined by your physician. The Cetrotide 3mg (single dose) controls the LH surge for up to 4 days. A GnRH antagonist, which blocks GnRH receptors on the pituitary gonadotropin pathway. It induces a rapid, reversible suppression of gonadotropin secretion.The vials of Cetrotide contain 0.25mg and 3mg of powdered medication packaged with prefilled syringes of diluent. 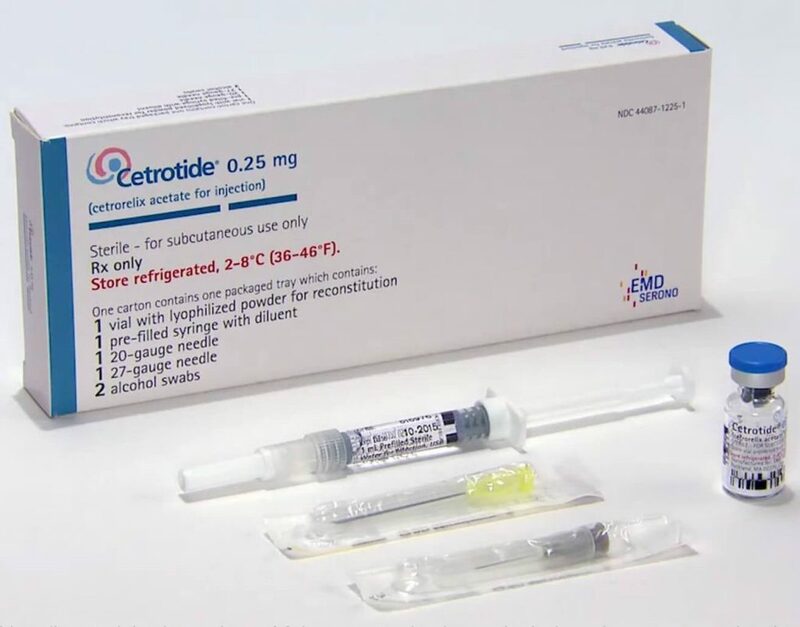 Cetrotide is an injectable medication administered subcutaneously. Cetrotide blocks the effect of the naturally occurring gonadotropin releasing hormone (GnRH). 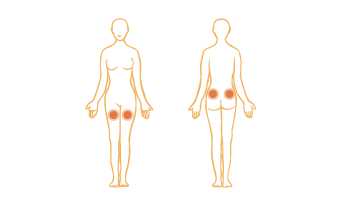 GnRH controls the release of LH that produces the release of an egg from the ovary. Cetrotide is given over a short period of time in the cycle when the LH surge can occur. Its blocking effect allows for eggs to reach the level of development needed for fertilization. Store 3mg Cetrotide at room temperature. Protect from light. • Cetrotide 0.25mg must be refrigerated.